Does Your Molded Pulp Provider Manufacture or Just Import? Our manufacturing facility is centrally located in St. Louis, Missouri which gives us the unique ability to ship economically to all points within the USA, as well as Canada and Mexico. 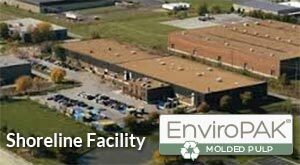 EnviroPAK has added production capacity to meet and exceed customer needs with multiple molding lines and redundant manufacturing facilities capable of producing a range of volumes from hundreds of thousands to millions of parts. 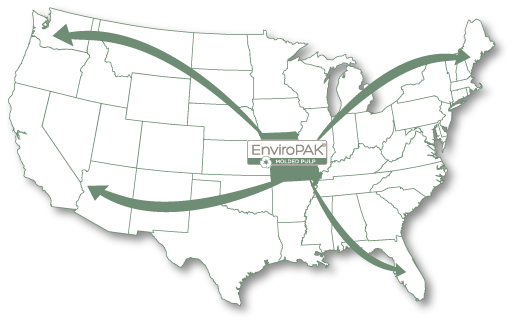 EnviroPAK has some of the fastest and most state-of-the-art molded pulp machines in the industry. 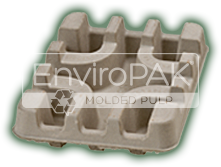 There are many companies to choose from when considering molded pulp, be sure you choose one that has the ability to manufacturer your product…not just import. We invite you to tour our facilities and see how manufacturing molded pulp in the USA is the best solution for your packaging requirements.